This week, for a course I’m taking, I had the opportunity to hunker down and read some confessional documents. First I read The Augsburg Confession and the Catholic response, the Confutatio Pontificia, and then the more recent Joint Declaration on Justification. I also read chh. 12 & 18 of Althaus’ The Theology of Martin Luther. You may have noticed that sometimes I tag posts with “i might end up eastern orthodox at this rate”. I think I may have used it only twice, but I could have used it more frequently. Anyway, this feeling was increasing over Christmastide, not only with a lot of reading of St. Leo and a couple of trips to St. Andrew’s Orthodox Church, but also because of Frederica Mathewes-Green’s book, At the Corner of East and Now. I admit there is something compelling in Eastern Orthodoxy. 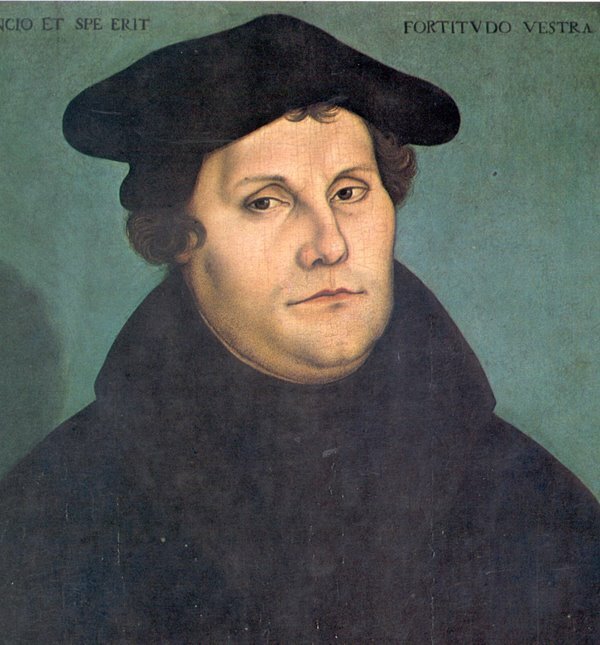 But then I read Augsburg and Althaus’ discussion of Luther’s theology. And I realised that I am still a Protestant, for I found Luther’s explanation of Justification by Faith entirely reasonable and compelling, remaining faithful to Scripture whilst setting forth its doctrine with reason. It holds in tension simul justus et peccator and faith-works and law-gospel — all of these things that, beautiful as so many Orthodox descriptions of the Christian life are, make the most sense to me and give me the greatest spiritual comfort of all explanations. We are all bound by our understanding of Scripture. Tonight, for the same course, I finished reading the Second Helvetic Confession. I am clearly not a Calvinist. Certainly not of this Confession’s ilk. This is not just the predestination issue. It is the overbearing, heavy-handed reliance upon public preaching of the Gospel. As though this and the rational world of the mind were all that true piety consisted of — thus, even if the confession didn’t consider images in holy spaces as idols, it would still oppose them on grounds of their needlessness. People don’t need pictures if they can hear the Word of God preached to them (so says this confession). This Confession also shows many Protestant weaknesses. It gives a fairly decent account of Eucharist when discussing it directly, but sidelines it the entire time whilst always talking about preaching. Indeed, the Eucharist seems at one point to be best understood as basically a sermon that you eat. It seems to support a presbyterian church order over all and rejects the Daily Office out of hand, making claims about the order of the church as handed down from the Apostles — but makes the claim that the Apostles celebrated together on the Lord’s Day! This is a practice that has evidence for it of the same antiquity as the episcopacy and the Daily Office — evidence not clearly shown forth in the apostolic writings. What has happened has that the Church, seeking to submit itself to nothing other than Sacred Scripture has become not only the judge of tradition but, at times, even of Scripture herself (see the bit where James is subordinated to Paul to the extent that they would be willing to jettison him from the canon if he disagreed with “the Apostle”). Some of Helvetic II mirrored the 39 Articles. But much did not. So if I must turn anywhere in the Reformation, it is not to Calvin, whose followers haughtily claim that he finished what Luther began, but to Luther and the Book of Common Prayer. No matter how hard I try, I always come up Anglican. Somehow, poor John Calvin has his name associated with a certain breed of hardheaded, argumentative, internet-addicted, theological-nitpicking jerk. This is really too bad because John Calvin (though I personally would not go so far as to say that he completed the Reformation that Martin Luther started) was a brilliant man who wrote insightful Bible commentaries and sound, orthodox theology. Besides that, lots of people of the Reformed/Calvinist position aren’t jerks and are open to thoughtful discussion of their beliefs, including things besides predestination again. I’m not saying I agree with everything John Calvin ever wrote, especially regarding icons, and I’m not overly committed to the mechanics of predestination, but he is worth reading. And worth reading for more than predestination. So if all you think of when you hear, “John Calvin,” are those hardheaded jerks and endless arguments about predestination, please read his words on the Holy Trinity here (for those with their own print copies of The Institutes of the Christian Religion, it’s Book I, Chapter 13). There you will find defense of the word “person” as well as a very brief history of it and its use (nothing as mind-crushing as Zizioulas’ in Being As Communion), a defense of the divinity of both the Son and the Holy Spirit, and a discussion of how the Unity in Trinity runs down the middle course between Arianism on the one hand (only the Father is God) and Sabellianism on the other (all three are different “modes” of God’s being). For those who are thinking, “You say The Shack isn’t really theology, but where do I turn?” Turn here! It is briefer than Augustine’s On the Trinity, more modern than Boethius. Here you will find the true, orthodox doctrine of the Most Holy Trinity expounded. It is honey and sweetness to your ears, balm to your soul! Read it and praise the Father, praise the Son, praise the Spirit — Three in One! Learning Theology with the Church Fathers is Christopher A. Hall’s sequel to Reading Scripture with the Church Fathers (the third in the trilogy is Worshiping with the Church Fathers). In this book, Hall examines various theological questions, taking the question of the divinity of Christ as his jumping-off point. The examination of the question at hand is always narrowed to certain Church Fathers, never the entire corpus of Patristic thought on each issue, an approach that keeps the book to a reasonable, readable length. For example, in the chapter “Christ the Son, Begotten and Not Made”, he draws principally from St. Athanasius. In “The Mystery and Wonder of the Trinity”, our guides for the journey are St. Gregory of Nazianzus and St. Augustine of Hippo. Other issues Hall sheds Patristic upon are the two natures of Christ, the Holy Spirit, the question of sin & grace, providence, the love of God, Scripture, ecclesiology, and the Resurrection (the final one). He realised whilst writing that the topics covered weren’t enough, that something more needs to be said. The third volume will help us draw nearer to the mind and life of the Fathers, for these men were not mere academics but practising, preaching, and worshipping pastors—thus, the question of Patristic worship is important. The best things about this book are: i. It blew my mind. ii. It made me want to read more of the Church Fathers. Each of these will receive a post of its own later. Some other, more general comments on the book are the order for today, however. My favourite chapters of this book were those that dealt with what I think of as theology proper—God the Father, God the Son, and God the Holy Spirit. Thus, “Christ the Son, Begotten and Not Made”, “The Mystery and Wonder of the Trinity”, “Christ Divine and Human”, and “On the Holy Spirit” especially, although “God’s Wise and Loving Providence” helped draw me closer to an understanding of impassibility, a doctrine I am not yet comfortable with. This may be that I do not fully understand what it means for God to be impassible; it may be that I am clouded and biased by my 21st-century ways; it may be that the Fathers are wrong. The last option makes me very uncomfortable, because I tend to agree with things they all agree about. One of the aspects of Patristic thought that this book helps to draws out is its focus on real, live theology. These days, a lot of people talk about something called “theology”, but it’s really a Christian or biblical approach to certain issues—such as eco-theology and ethics, but even at times ecclesiology, sacramental theology, liturgical theology. Very rarely do we say, “Gee, who on earth is God?” The Fathers did. Who is Jesus? How does the nature of who Jesus is affect the way we live, think, are saved? Who is the Father? Who is the Holy Spirit? How on earth are there three Gods and one God all at the same time? The Fathers addressed these foundational issues, and then from this truly theological framework—one always rooted in the foundations of Scripture and tradition—dealt with other issues, such as justification and ethics. Hall attempts to give Nestorius and Pelagius a fair hearing in this book, but at no point does he act as though the teachings attached to their names are legitimate orthodoxy. This is a dangerous but admirable trait. When we look at these figures of church history, we have to realise that every saint was also a sinner, and every sinner a potential saint. And sometimes people said things that they didn’t necessarily mean, or hadn’t thought through properly, or expressed badly, or their followers took their arguments to their logical, heretical conclusions. Sometimes you want more than a mere exegesis of the Fathers as they exegete Scripture and tradition, bringing them to bear on the theological questions at hand. Sometimes I want to know more than just what this one Father taught, more than just this one thought on a question. Sometimes I want to see objections to these thoughts, or counter-arguments to objections in my mind, or a thorough “modern” rationale for these ideas. At times, these elements are lacking, but not always. When they are present, Hall sometimes takes too long going about it, and this may be why he avoids it sometimes. It may also be that his mind did not conceive of the same counter-arguments to the statements of the Fathers as mine did. However, this is not meant to be a complete display of all of Patristic thought on these questions, nor even on all questions, since some never even arise. The authors presented by Christopher A. Hall in Learning Theology with the Church Fathers are all major thinkers of the Patristic age, and their thoughts tend to be representative of the ideological climate surrounding the theological questions he addresses. This book, as a result, is a good book to inspire people to explore the field of Patristics and Patristic theology further. This happens today with certain types of Calvinist.